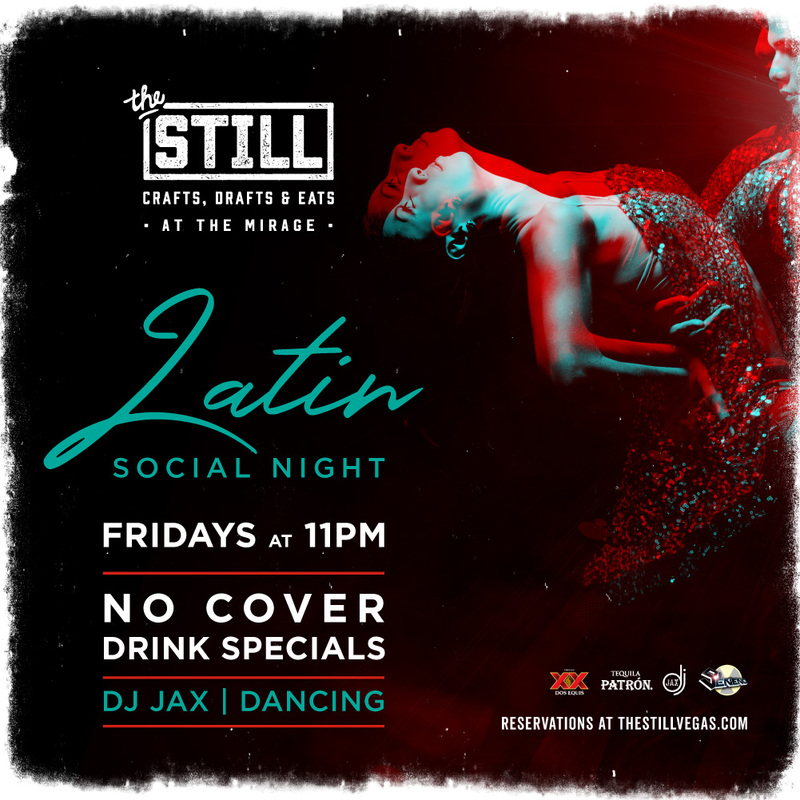 Latin Social Night at The Still every Friday at 11pm. Join us in dancing the night away to the cities best Latin DJ and percussionist duo who will be playing a mix of hits from the Latin and pop music scene. There will be drink specials, and this is a no cover charge event and open to all guests over 21 years of age. To request a reservations, please fill out the form below or call us at 702.692.8455.